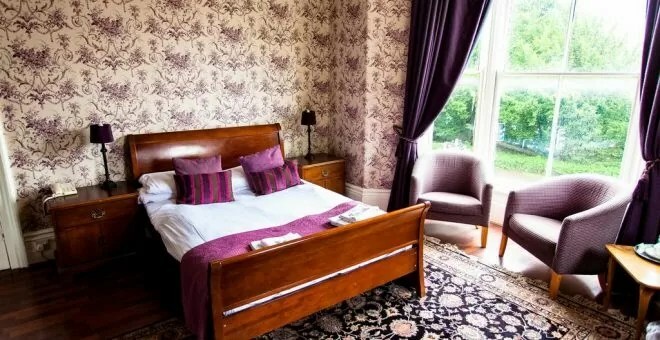 Here we have 8 of the best hotels that Buxton has to offer you, where you can get a comfortable night’s sleep after a day of exploring this beautiful town in the heart of the Peak District. 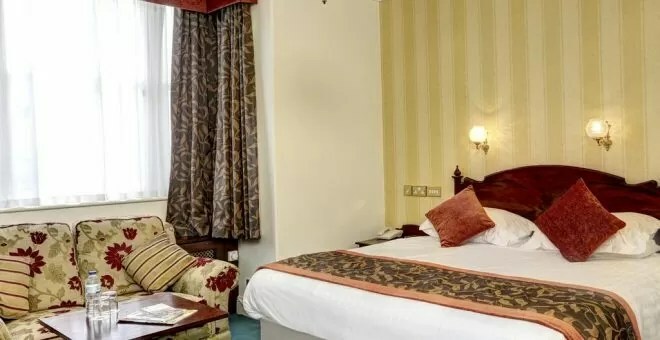 When you find the perfect hotel for you from our list below, simply click ‘Book now’. 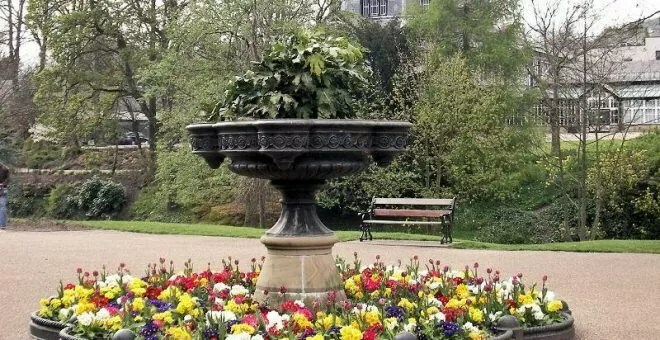 We hope that you will enjoy your stay in Buxton. 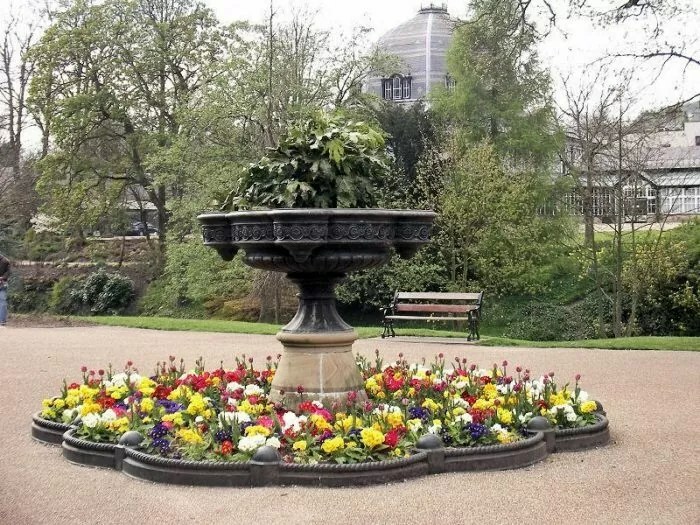 The Palace Hotel in Buxton boasts over 5 acres of beautiful gardens, at the hearts of the Peak District. 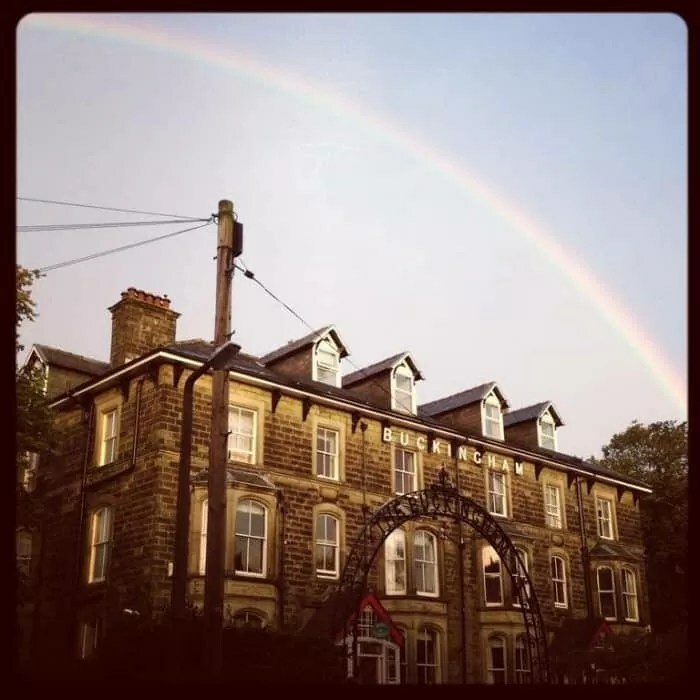 It is situated right near the centre of Buxton and has always been an important building to the spa town. 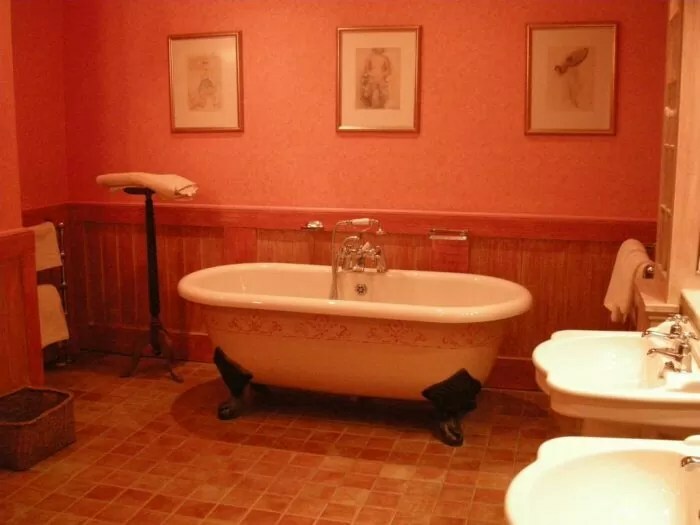 The interior is lavishly decorated and is complemented perfectly by the stunning exterior. 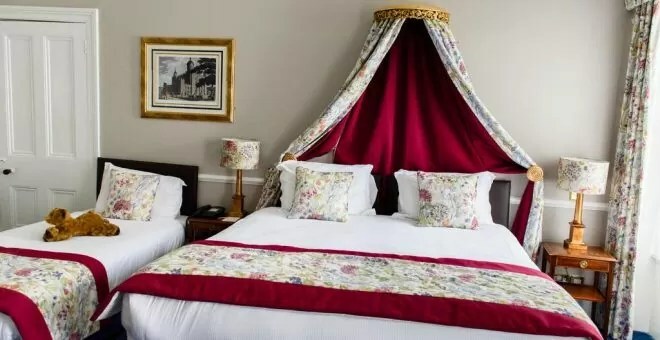 You will feel like royalty after just one night at the Palace Hotel in Buxton. 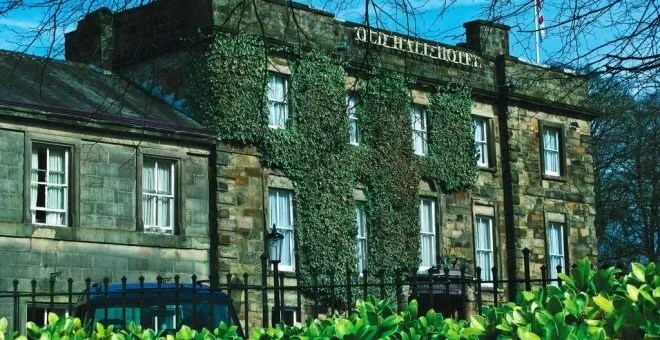 Welcome to the Old Hall Hotel in Buxton, which has the reputation as the oldest hotel in England and has seen guests such as Mary Queen of Scots visit its historic corridors. 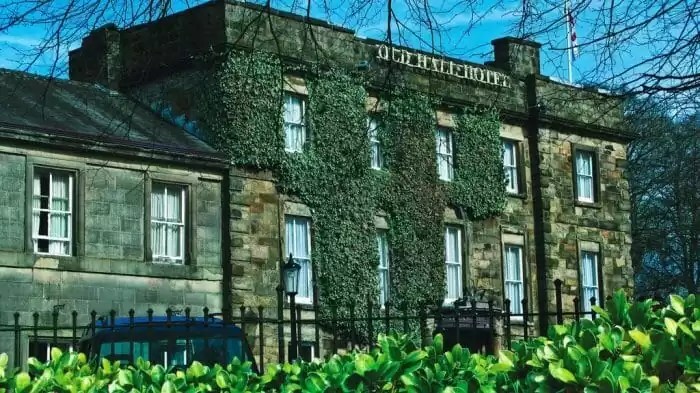 The Old Hall is also famous for its unique charm, good food and boutique feel. 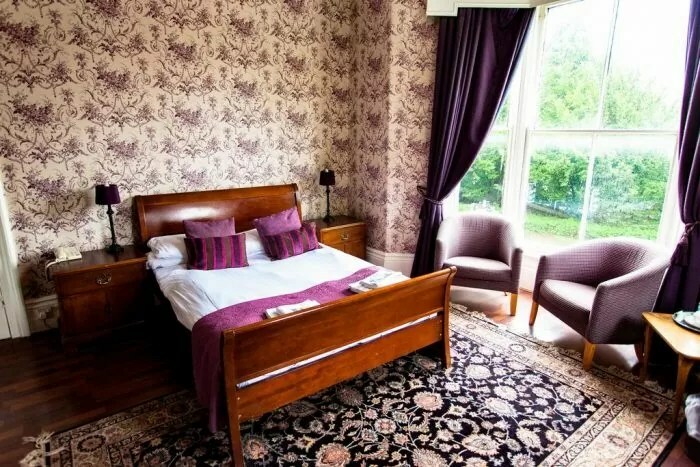 It is perfectly situated within the beautiful spa town of Buxton right next to the Opera House and the Pavilion Gardens. 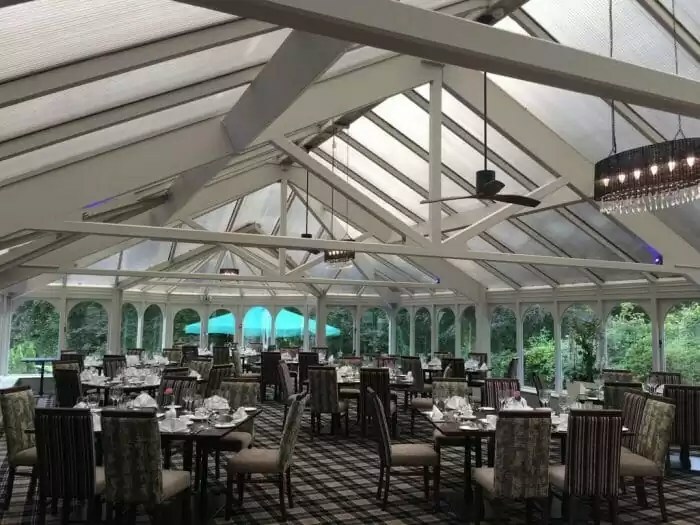 Whether you are here for a wedding, to visit the Peak District National Park or simply here to experience our fine dining services, you’ll be made very welcome. 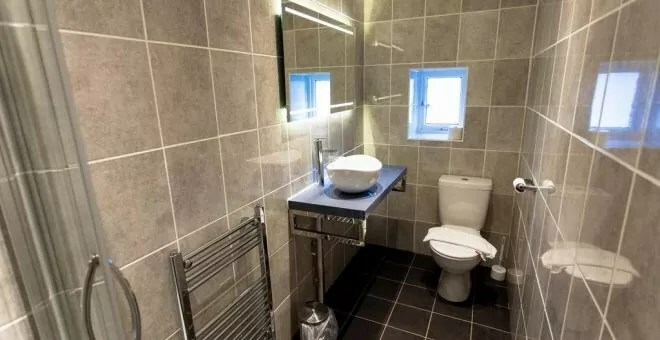 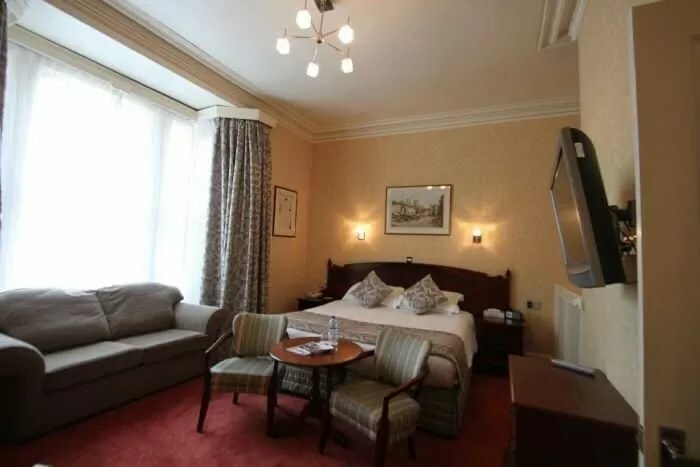 The Best Western Plus Buxton Lee Wood Hotel is wonderfully situated in Buxton, being near the town centre, the Devonshire Dome and round the corner from some beautiful short walks within the Peak District National Park. 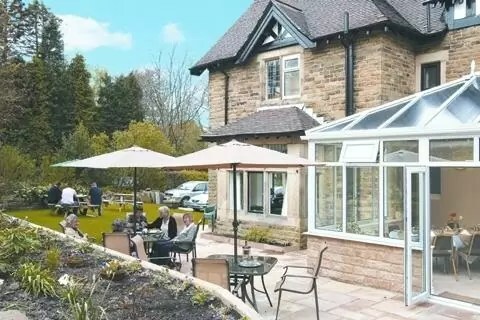 Three quarters of Buxton are surrounded by the Peaks, so you will have plenty of routes to choose from, and when you return to our hotel, our fine dining service will be available to you! 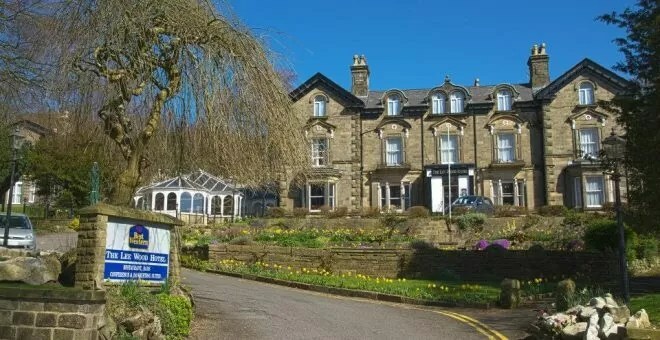 The Best Western Plus Buxton Lee Wood Hotel is perfect for both groups and couples trips. 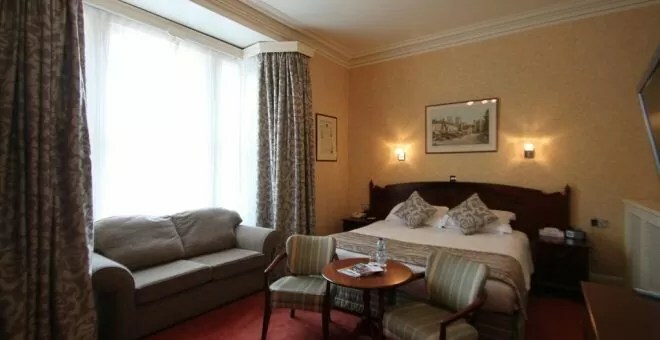 The Alison Park Hotel is beautifully located on the edge of Buxton’s town centre, so you can enjoy a more peaceful stay while being a 5 minute walk to the Buxton Opera House, Pavilion Gardens, and Pavilion Arts Centre all of which are venues for the popular Buxton Festivals. 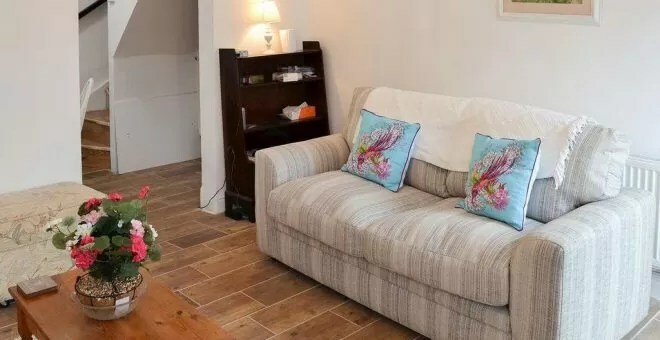 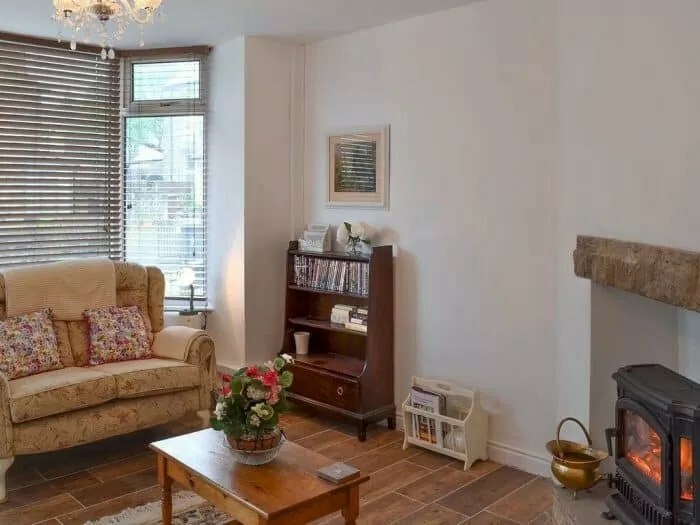 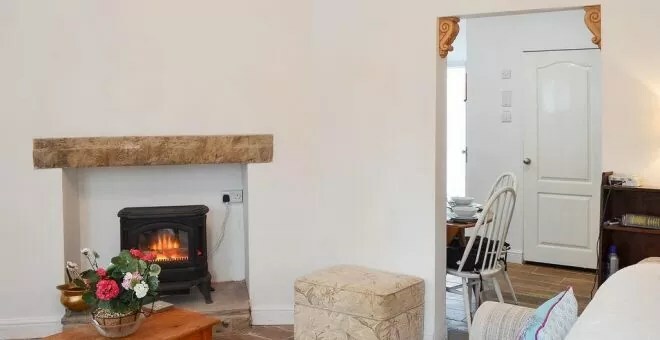 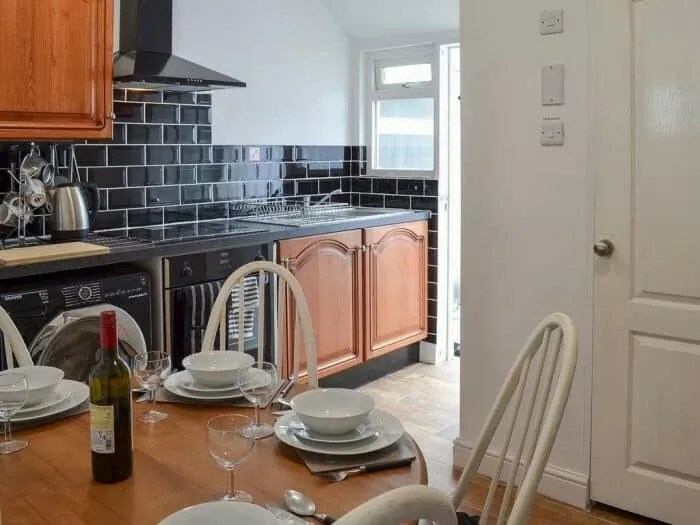 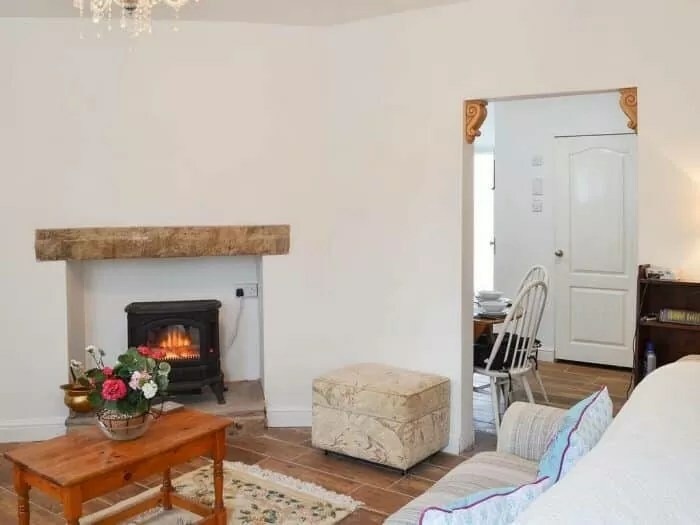 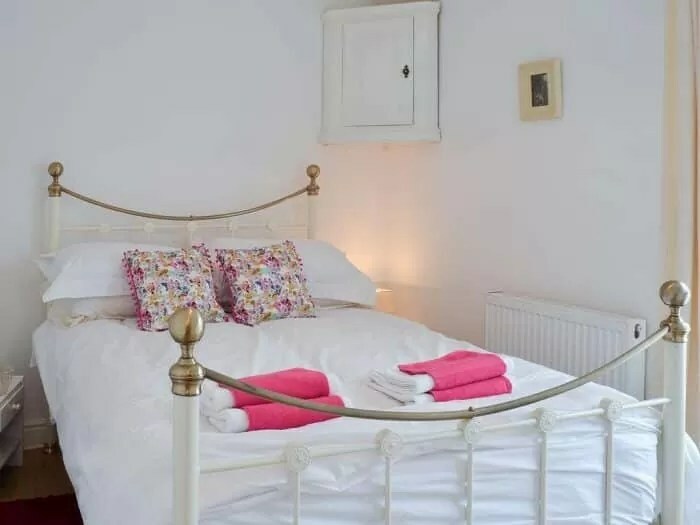 Robins Roost is a cosy cottage in the centre of Buxton, with free wifi, a TV and DVD Player, and fully equipped kitchen and bathroom. 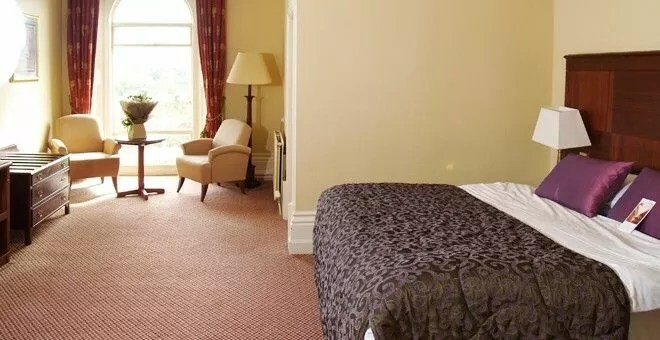 Buxton Opera House and the Octagon Theatre are walking distance from the property. 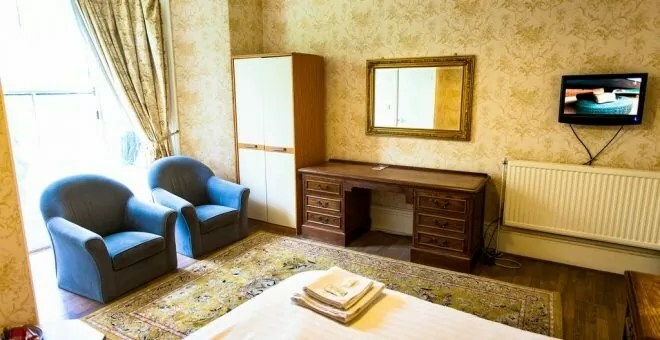 This accommodation offers a more personal and intimate touch than a hotel and can comfortably fit an entire family. 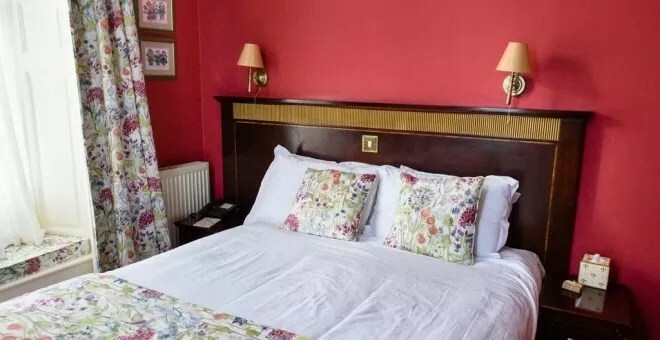 The Westminster Hotel offers beautiful views of the duck pond in the Pavilion Gardens and is family run, which gives it a homey and personal feel. 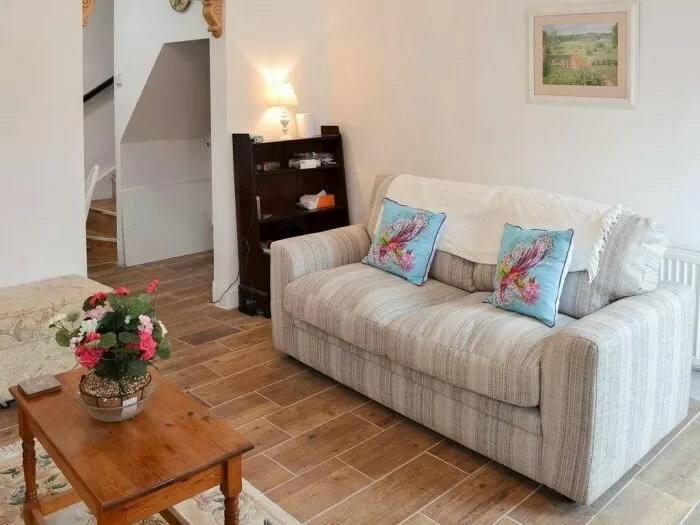 Your host, Shelley, aims to make her guests feel at home serving great food, comfortable accommodation and exceptional hospitality. 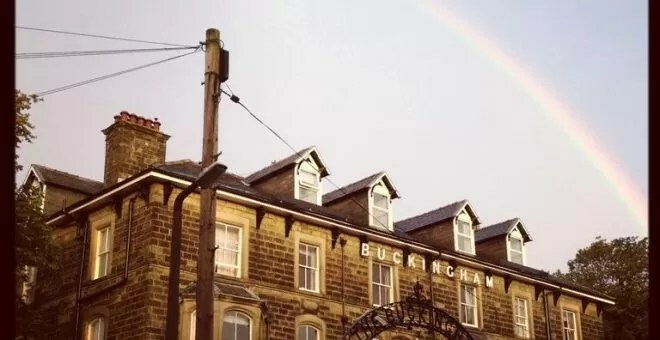 The Buckingham is wonderfully situated on the edge of the beautiful Pavilion Gardens, perfect for an evening stroll, and just a 5-minute walk from Buxton Opera House. 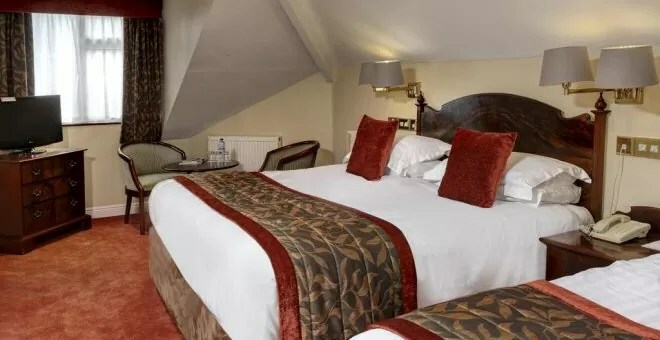 There is free on-site parking, and a car is the perfect way to experience the best of the Peak District National Park, as most of the best walks are a mere 15 minute drive away from the property. 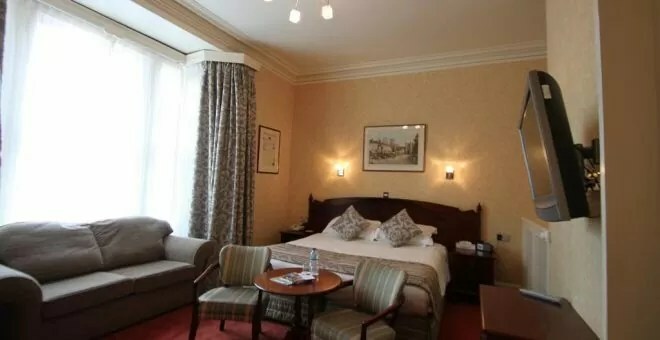 Portland Hotel is a traditional building in the spa town of Buxton, surrounded by the wonderful beauty of Buxton and the Peak District. 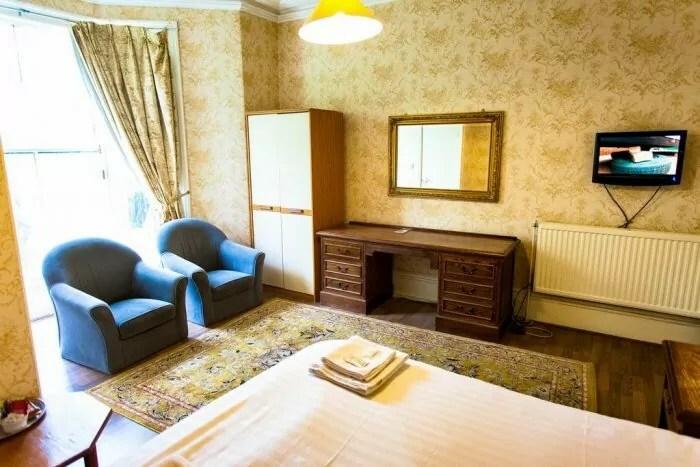 It is a leisurely 10-minute walk from Buxton Rail Station, and is right on the edge of the Pavilion Gardens, where you can find attractions such as the Buxton Opera House, Buxton Cinema and the Octagon. 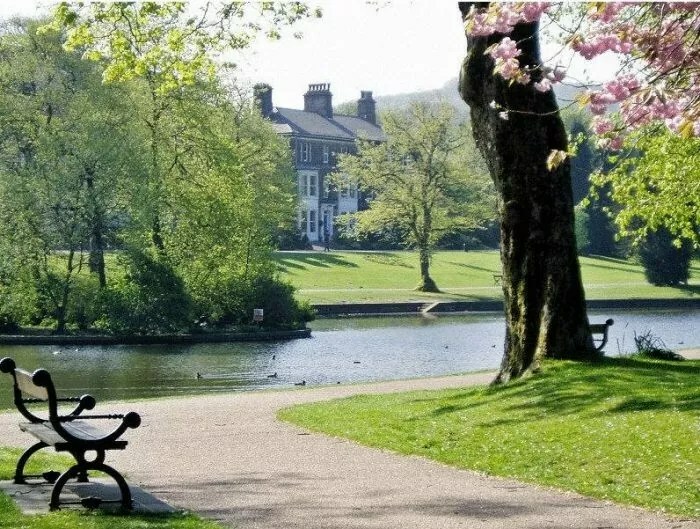 Situated in the centre of the Peak District, Buxton is perfect for any nature lover. 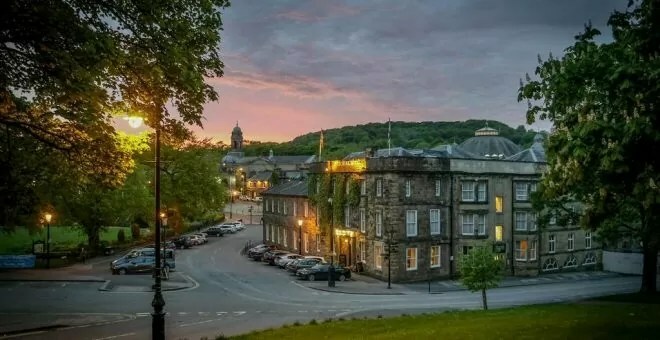 With the wide range of hotels in and near Buxton, you can enjoy every side of this beautiful town. 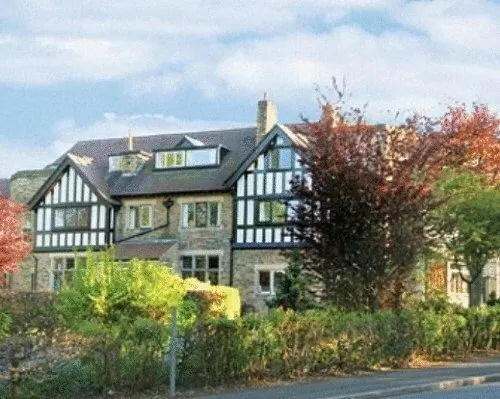 There are also many dog friendly hotels, so you and your dog can both make the most of the lovely walks and views of the Peak District. 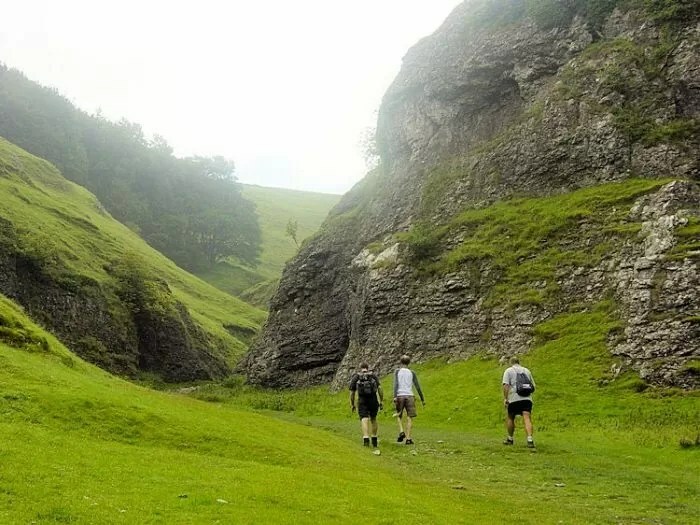 Famous walks include Soloman’s Temple, Tegg’s nose, Taddington, Tideswell, Kinder Scout and Ladybower. 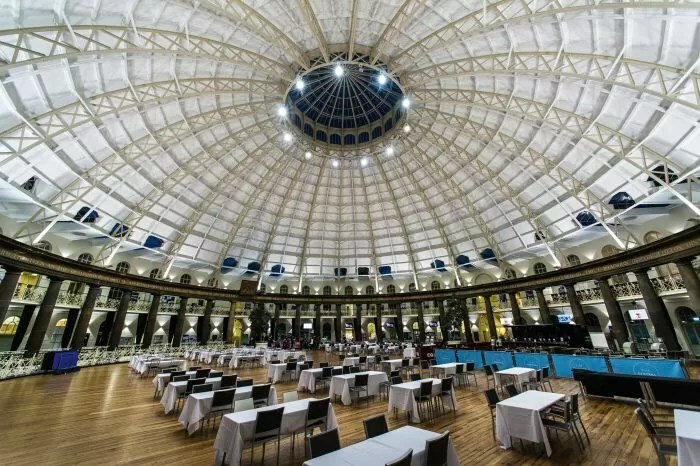 If culture and art is what you are interested in, the Buxton Opera House near the town centre is a fantastic sight inside and out. 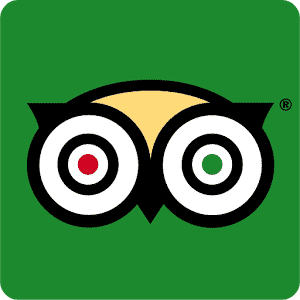 Here you can enjoy performances of all kinds throughout the year. 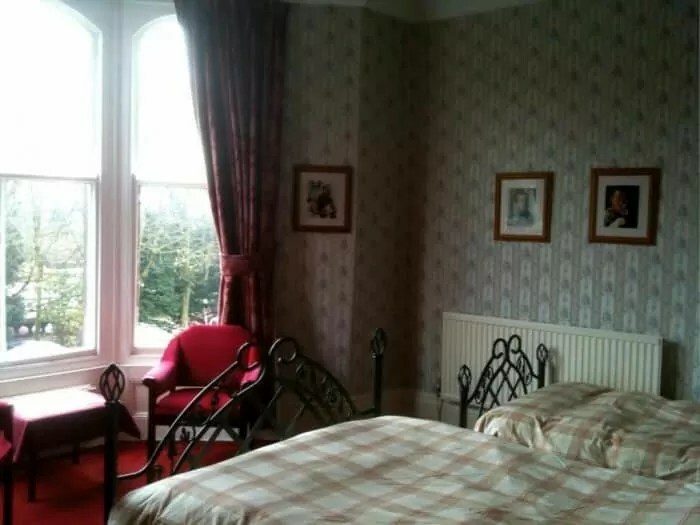 There are various hotels and bed and breakfasts nearby, for your convenience. 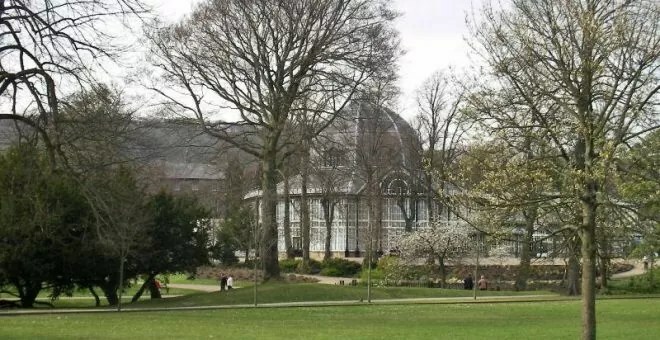 A few minutes’ walk away, you can find the Gallery in the Gardens, perfect for picking up a souvenir. 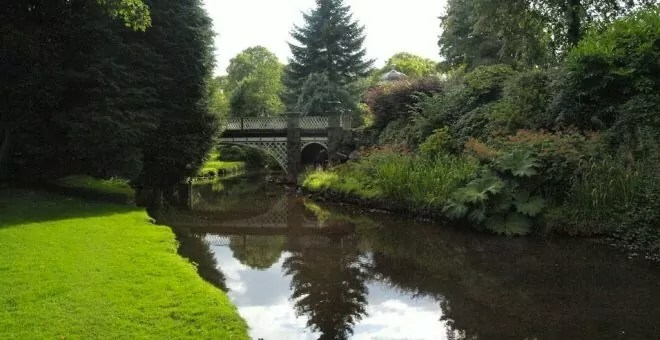 In the other direction, you can discover the unique Green Man Gallery, and Buxton’s own museum. 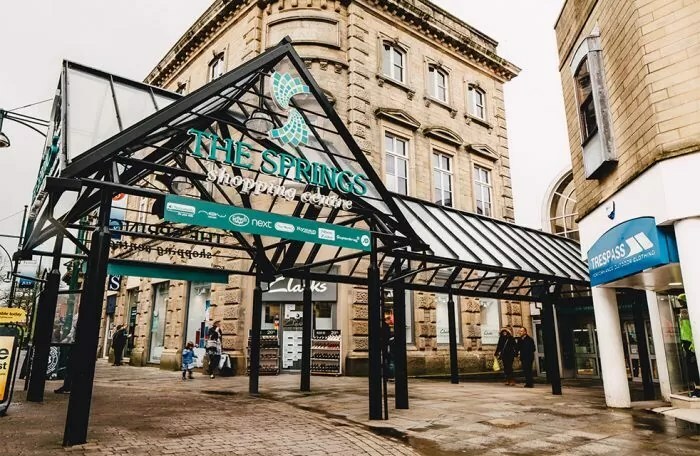 If you love to shop ‘til you drop, the Cavendish Arcade is a great shopping experience in the town centre, with individual, stand-alone stores. 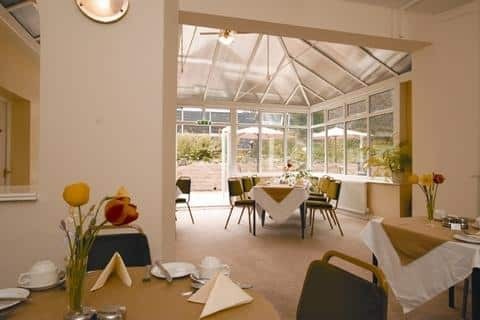 The Cavendish is a beautiful venue, containing a variety of shops and a café upstairs if you’re feeling peckish. 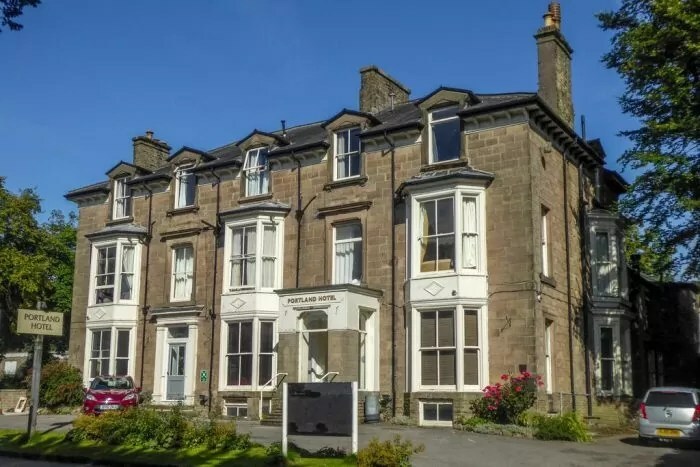 Also, Buxton has a quaint little town centre with a variety of chain stores, such as New Look and Next, side-by-side with individual, family-owned shops. 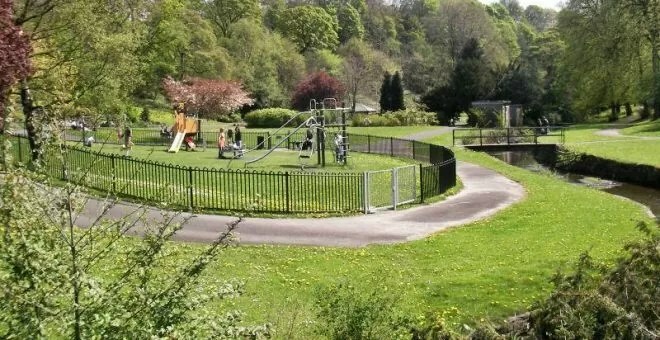 For the adventurous, Buxton has its own Go Ape within Grin Low woods. 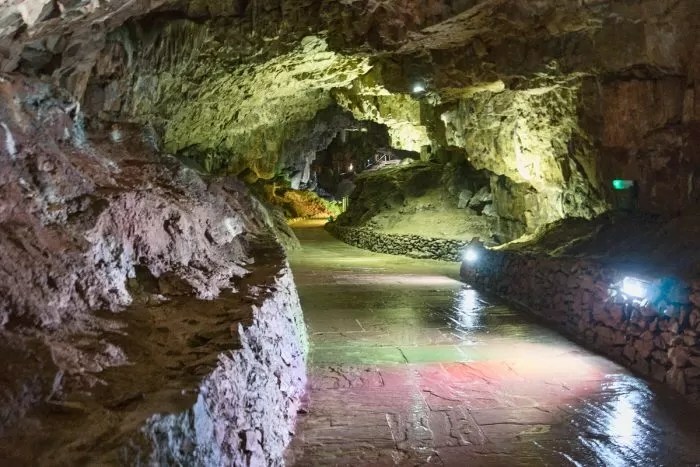 Just below this adventure course, you can find Pooles Cavern, one of Buxton’s many wonders. 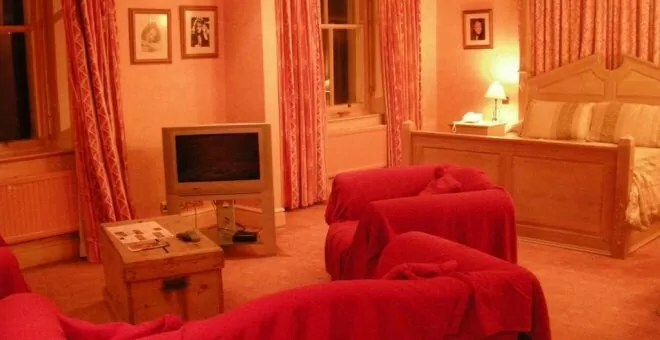 You could spend hours exploring the mysterious limestone caves that stretch below Buxton, formed by the river Wye. 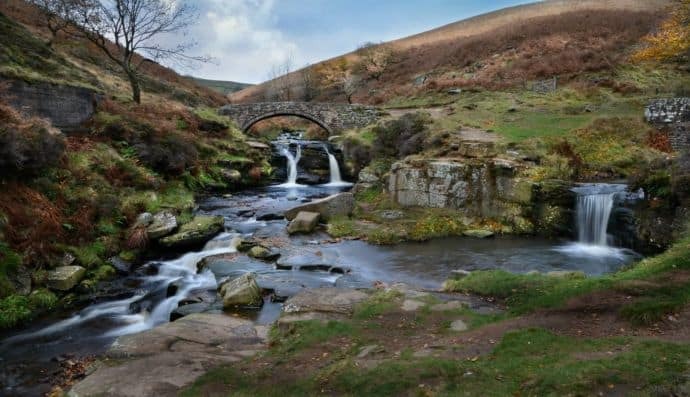 After a morning venturing through the cavern, why not take a peaceful walk through Grin Low woods? 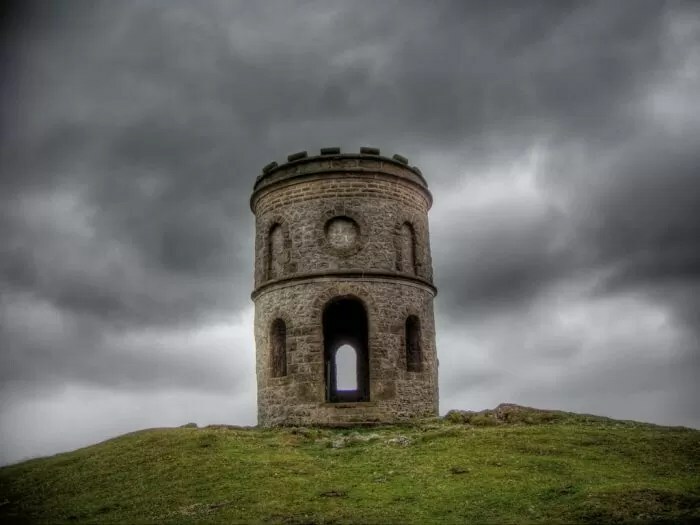 At the very top you will find the famous Solomon’s Temple, where you can enjoy breath-taking views of the whole of the town and the Peak District. 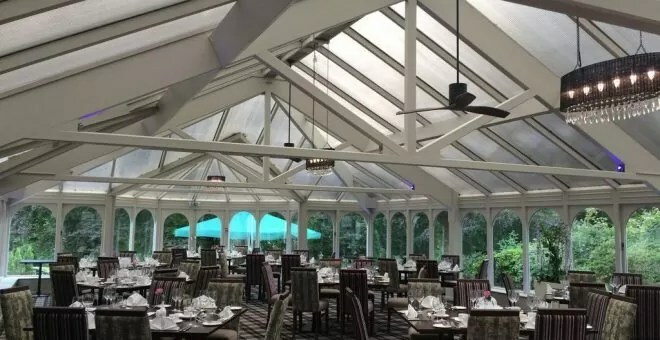 When you get hungry, Buxton and the surrounding areas have a diverse assortment of restaurants and cafés for eating out, including French, Thai, Chinese and English cuisine, amongst many others. 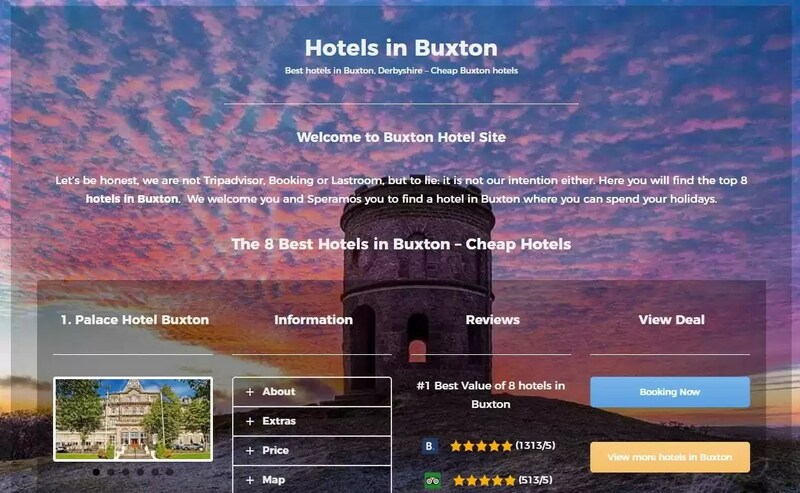 Whatever your taste, Buxton has it covered. 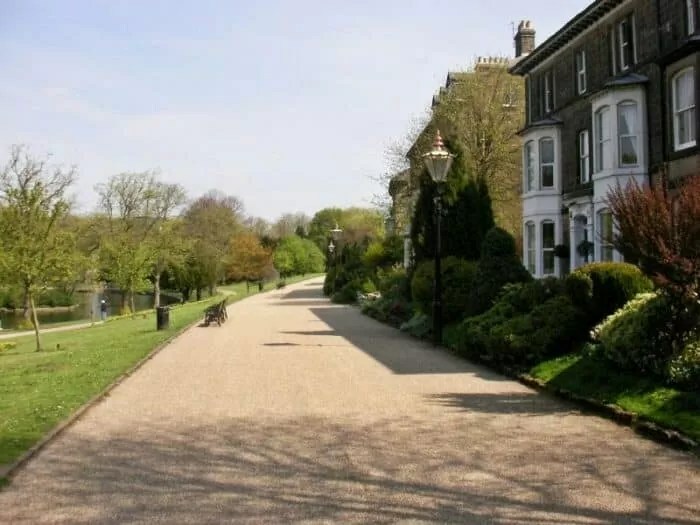 During your stay in one of Buxton’s hotels, you can make the most of your stay by visiting one of the neighbouring towns and villages. 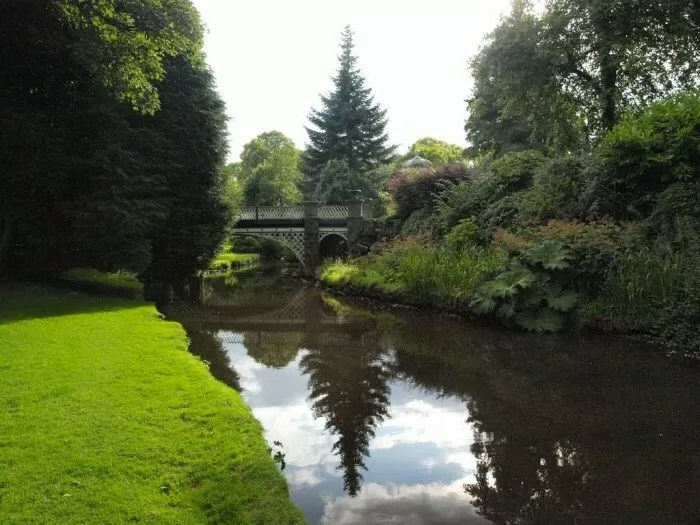 Bakewell is a charming market town just a few miles from Buxton, with a beautiful castle and calming strolls around the countryside. 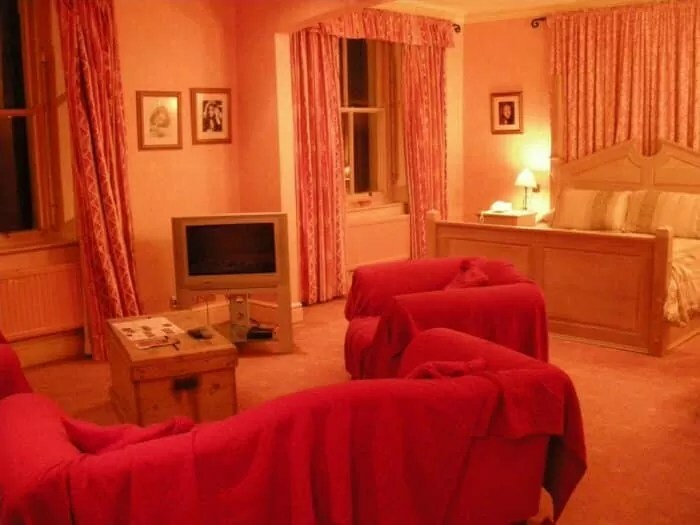 The illustrious Chatsworth House is just outside of Bakewell, which is definitely worth a visit or two! 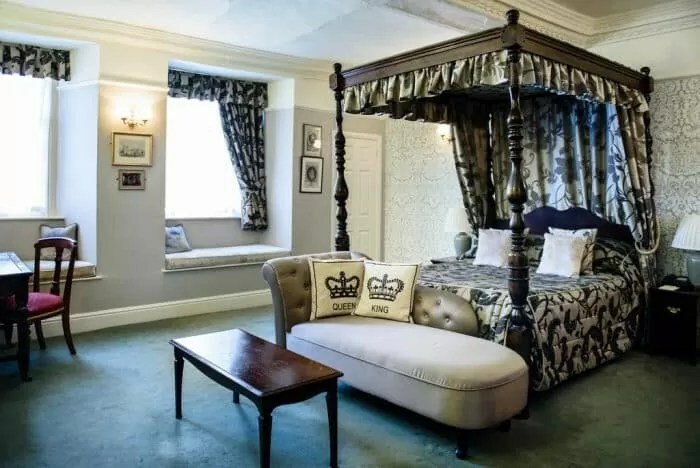 In addition, Bakewell is also the home to the stunning Haddon Hall, which dates back to the 12th century, and has been the set for films such as Jane Eyre and The Princess Bride. 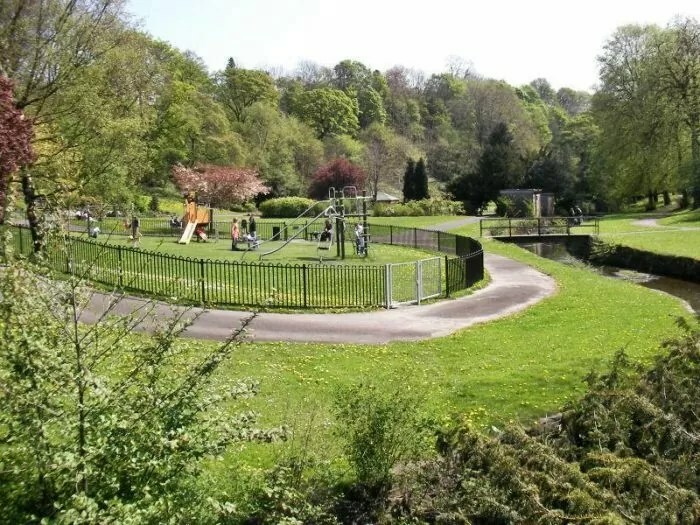 Matlock is another Derbyshire town that you will want to see. 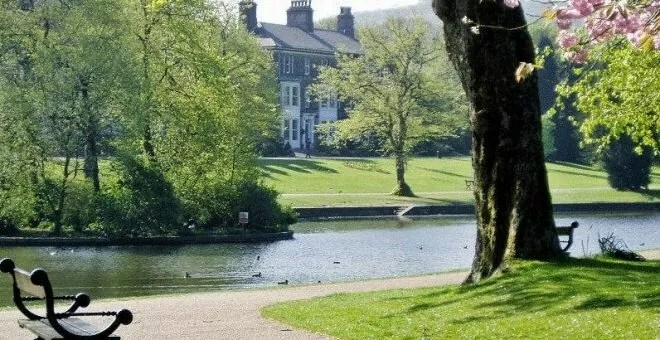 With rows of unique vintage shops and cafes, coupled with beautiful Peak District views, you won’t want to pass up the opportunity to explore the various towns around Buxton. 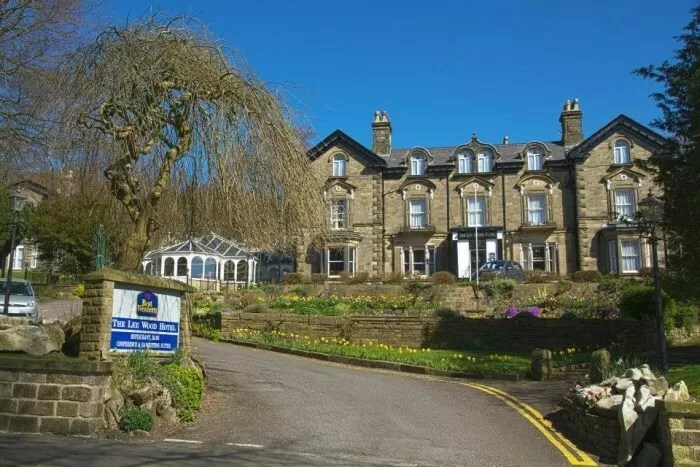 Buxton accommodation: But which hotel to pick? 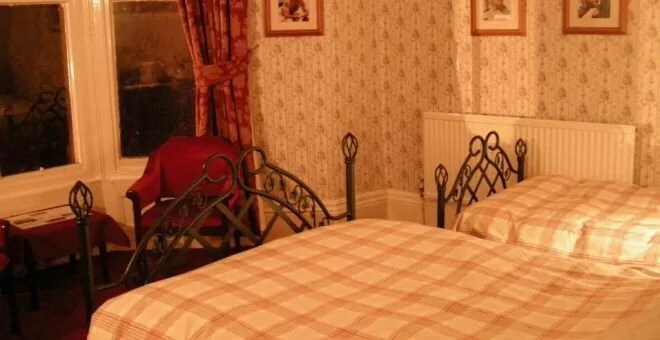 With a wide range of luxury hotels and bed and breakfasts, you will never be stuck for accommodation in Buxton. 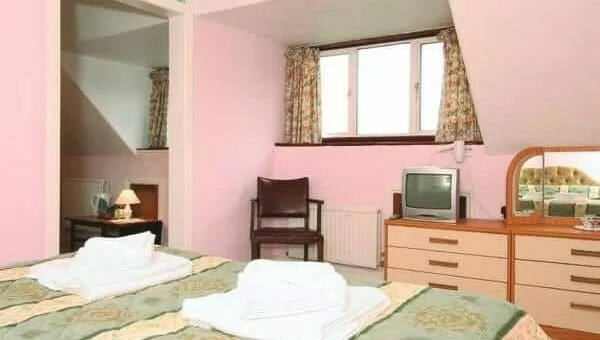 No matter what kind of hotel you prefer, Buxton can deliver. 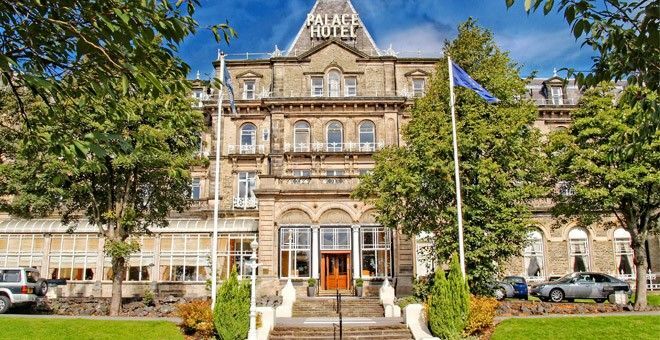 If luxury is what you are after, you can’t go wrong with the Palace Hotel, which is perfectly situated next to the train station and just a 5-minute stroll from the town centre. 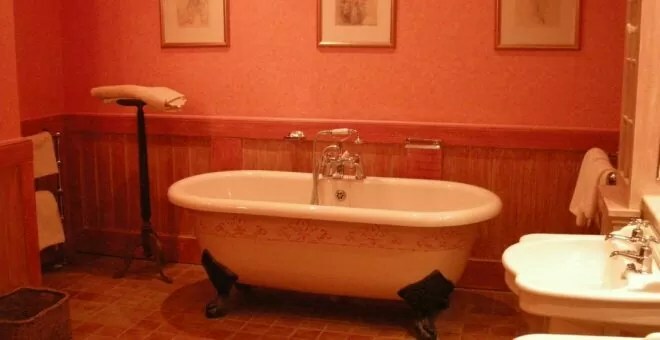 This grand Victorian-style hotel offers fine dining, a spa service and even a swimming pool. 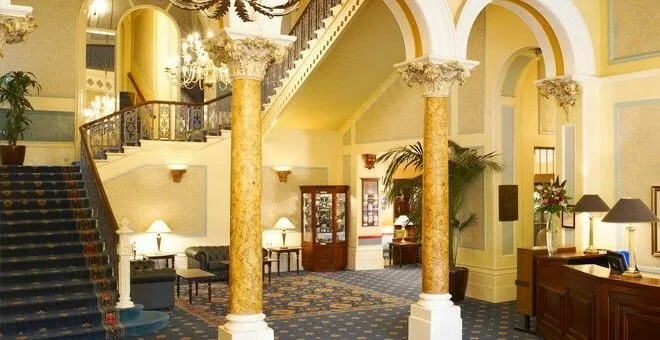 The size and beauty of the hotel would make it perfect for a wedding or event. 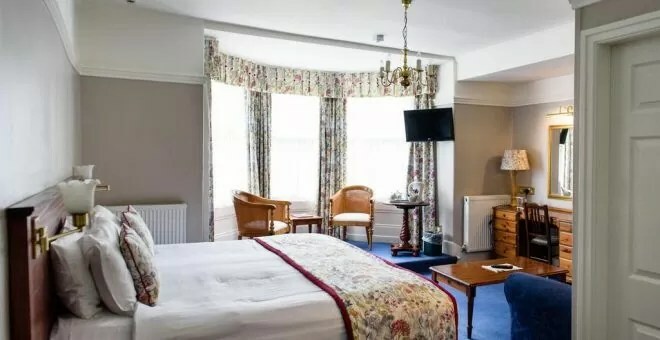 If history is what takes your fancy, the Old Hall Hotel is famed for being one of England’s oldest hotels, dating back to 1573. 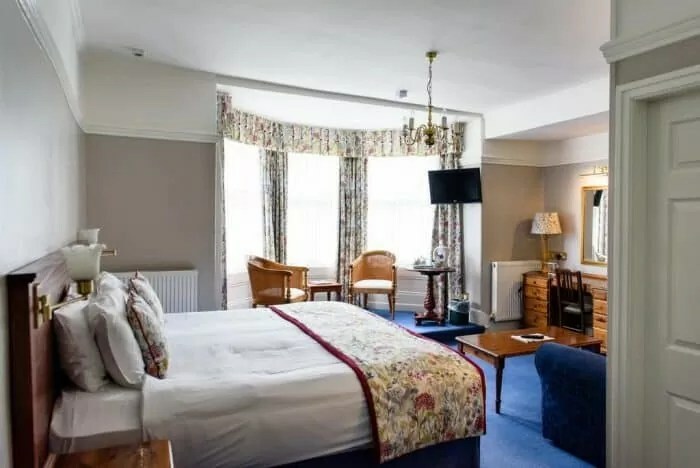 Being situated only a few minutes’ walk from the centre, and with the beautiful Pavilion Gardens right on its doorstep, the location of this Buxton hotel could not be better. 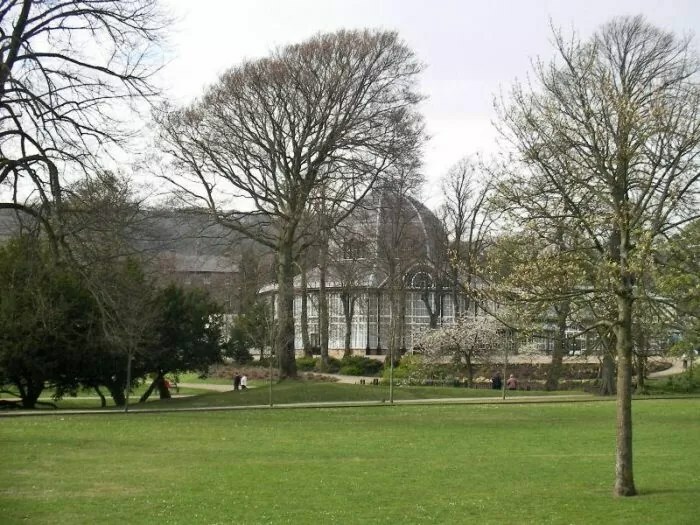 The famous Buxton Opera House can also be seen from the window. 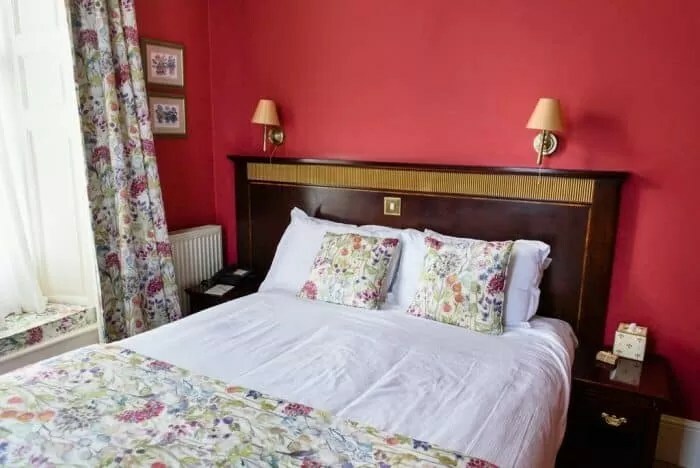 While offering luxury rooms and dining, the Old Hall is also a dog friendly hotel, perfect for those who wish to take their furry friend on holiday with them! 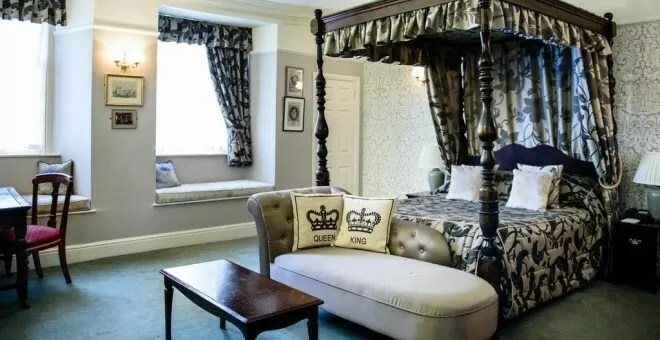 This boutique hotel is a unique experience, and has had distinguished guests such as Mary Queen of Scots. 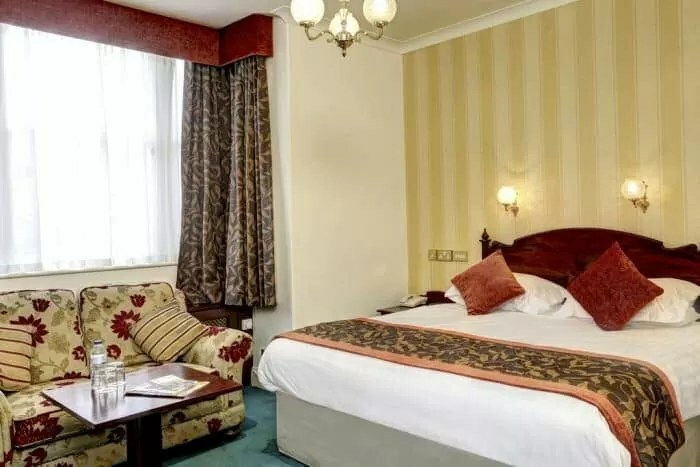 For beautiful views, a stay at the family-run Westminster Hotel will not disappoint. 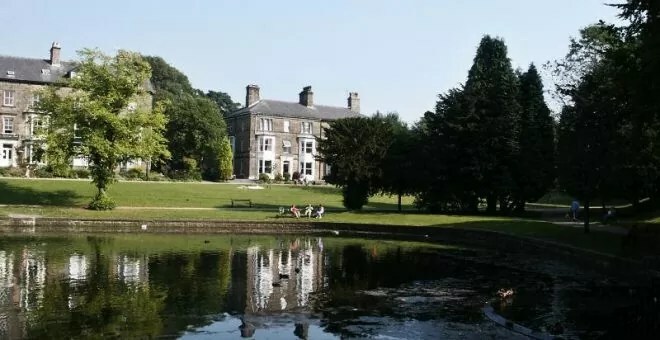 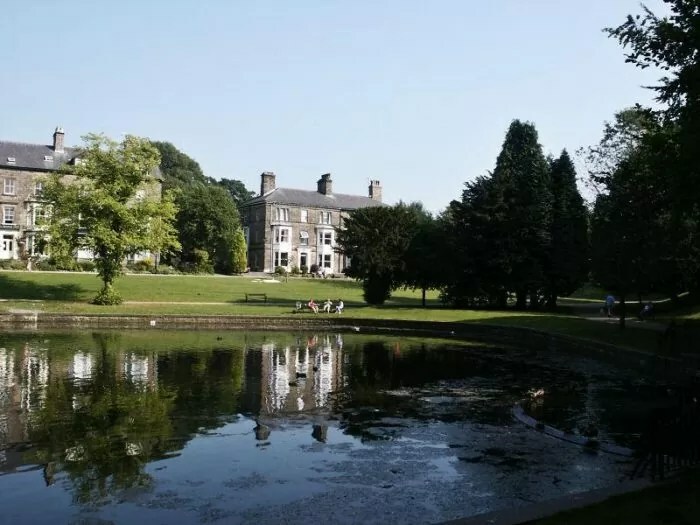 Overlooking the lake in the Pavilion Gardens, this Buxton hotel is wonderfully situated, with just a short walk to the town centre. 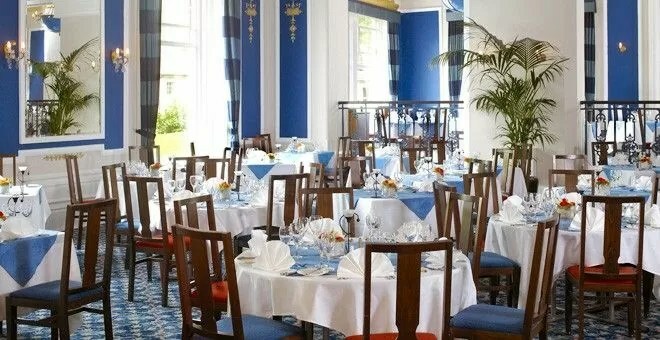 It also offers a complimentary full English breakfast in the dining room, where you can enjoy views of the Pavilion Gardens. 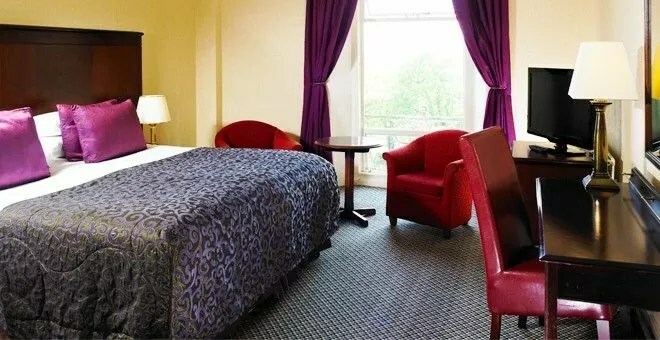 For eating-out, the Westminster Hotel is near to a variety of restaurants and cafés, which cater to all tastes. 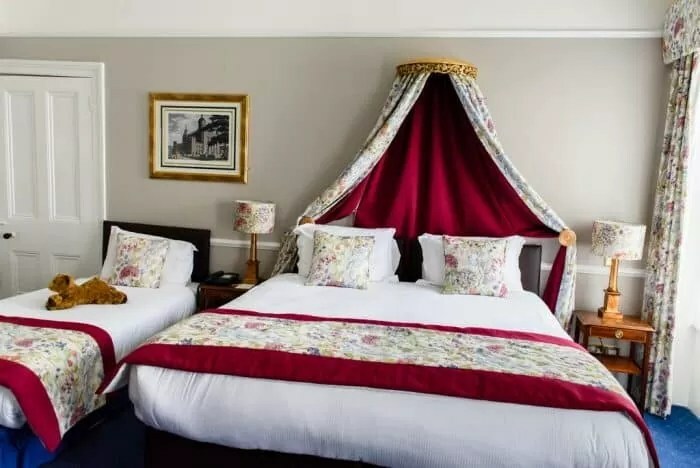 The lovely Alison Park Hotel finds itself a peaceful few minutes’ walk away from the Pavilion Gardens, for a quieter stay in the Peak District, while remaining close to all the attractions such as the Opera House. 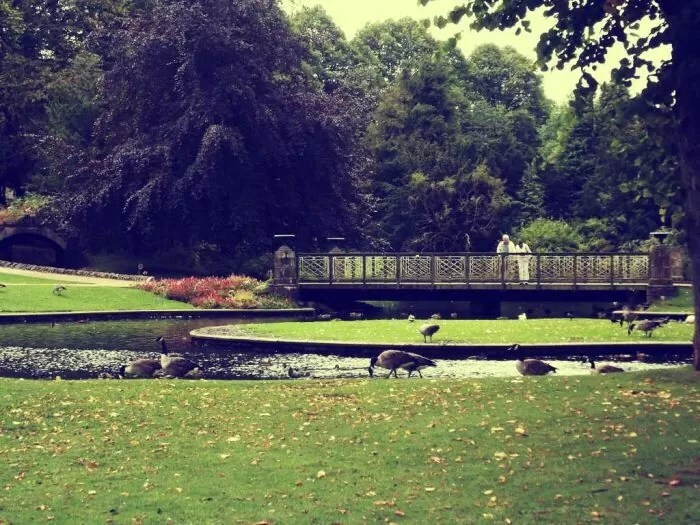 Simply walk 10 minutes through the Pavilion Gardens to arrive at the town centre. 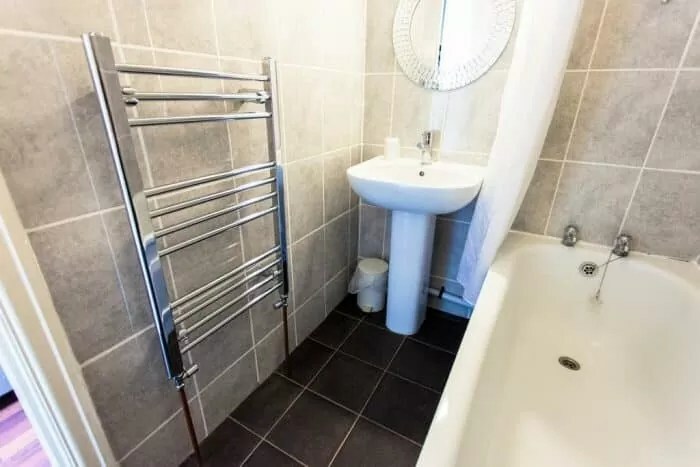 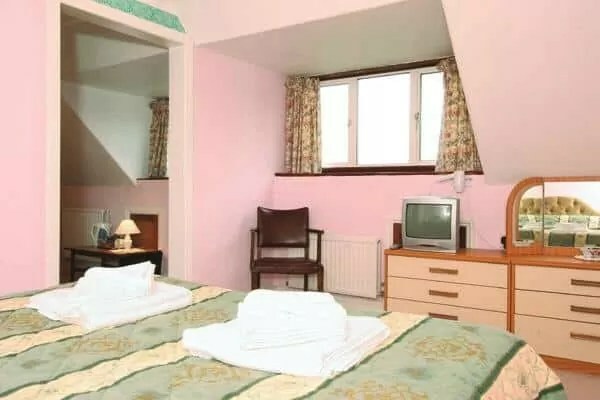 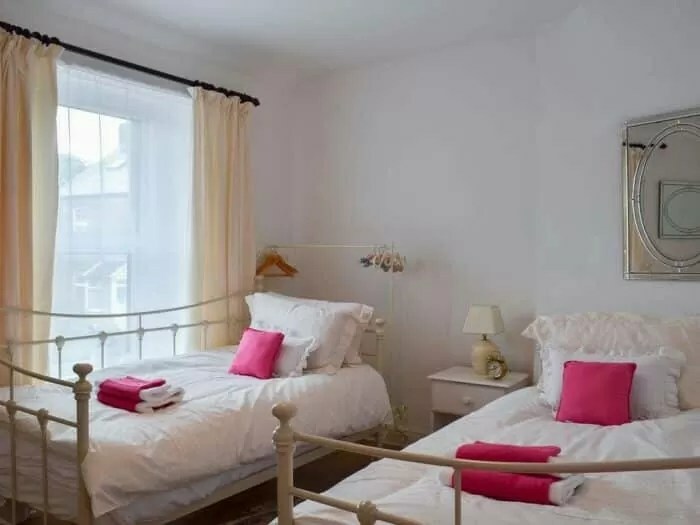 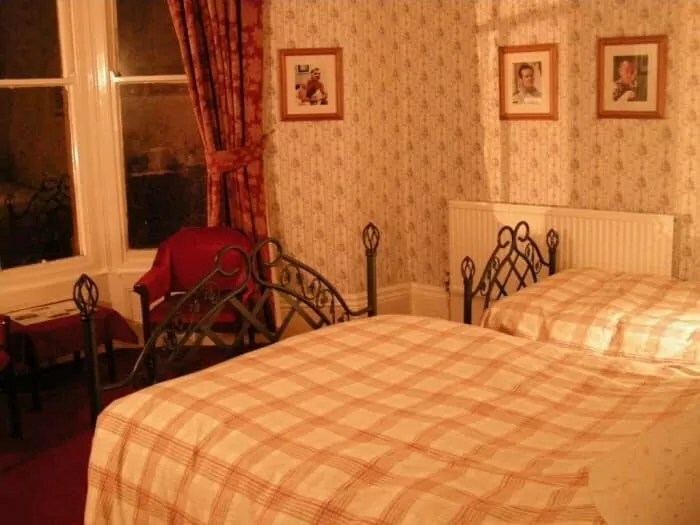 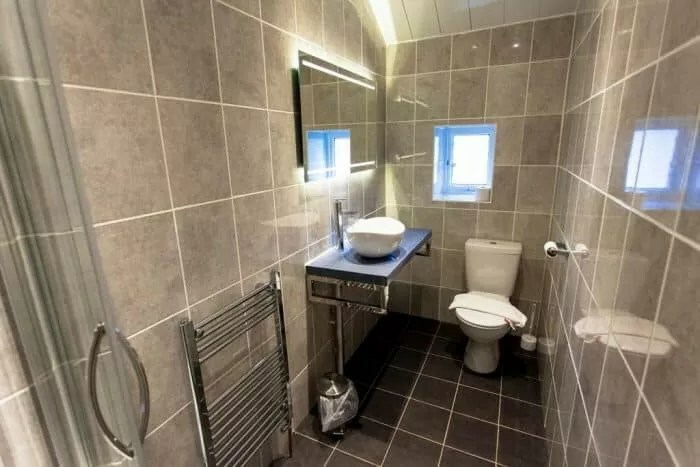 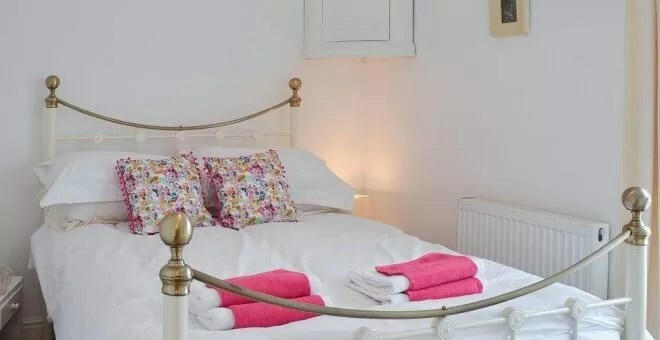 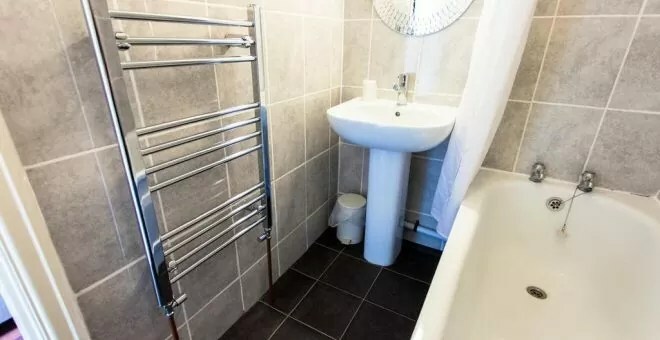 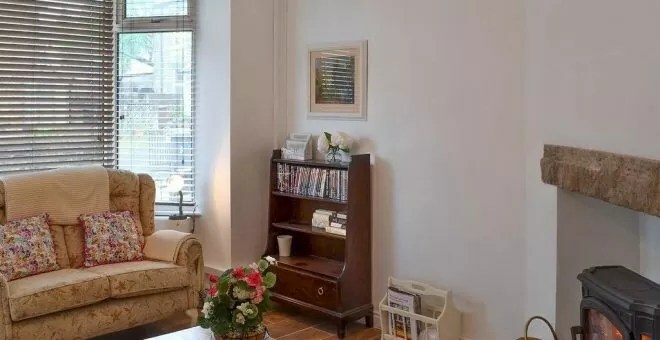 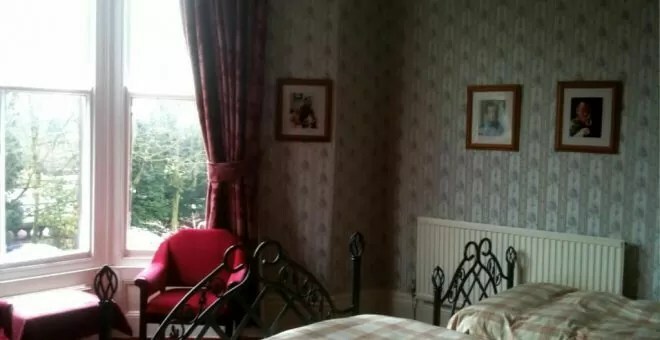 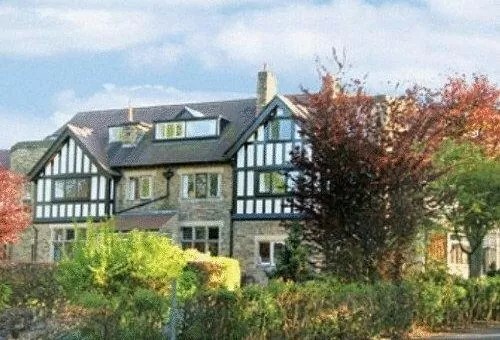 This guesthouse offers a bed and breakfast option, and a breakfast and dinner option within the hotel, which happens to be one of the cheapest accommodation in Buxton. 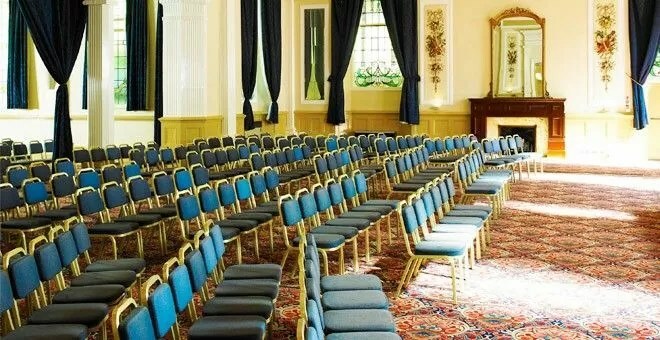 Have an event in mind? 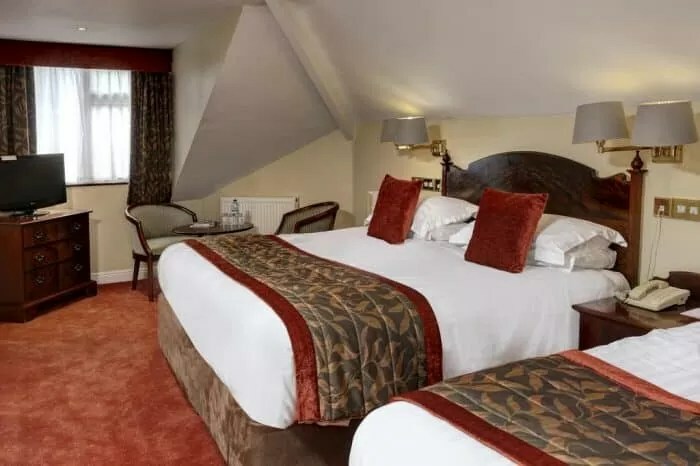 The Leewood Best Western Hotel is perfect for hosting a wedding or a conference, but would be equally perfect for a weekend getaway. 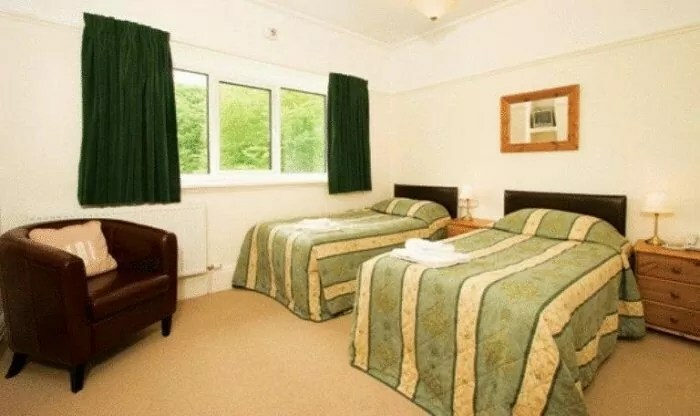 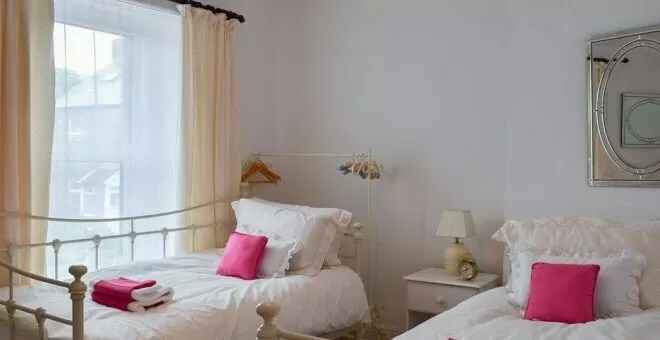 With a lovely garden and good location just minutes from the Opera House and town centre, the Leewood also offers comfy beds within large rooms. 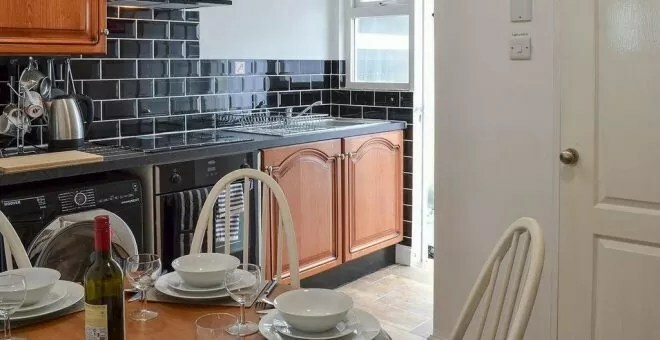 Wish to explore a new town, but without losing the feeling of being at home? 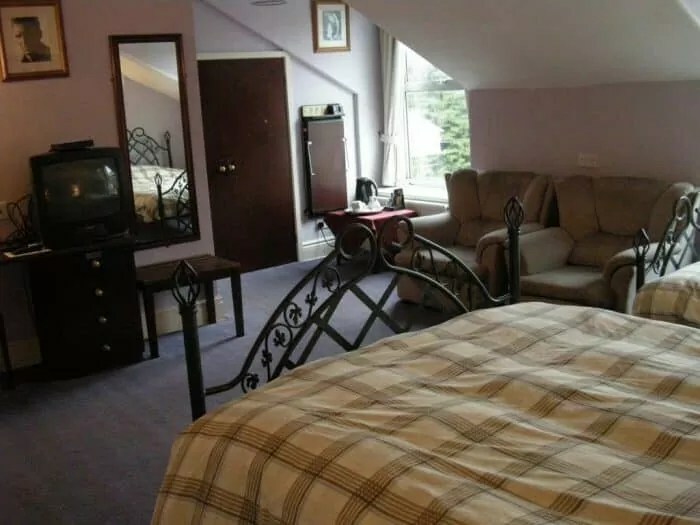 The Robins Roost guest house is excellently situated, and has all the home comforts such as a fully equipped kitchen and living room that the whole family can enjoy. 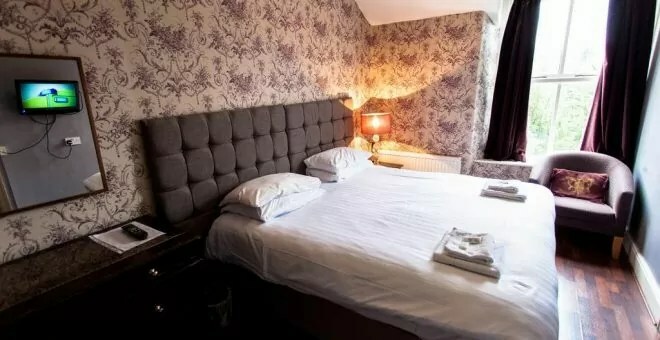 The reviews speak for themselves, claiming that the Robins Roost has lovely hosts and is, all-in-all, a beautiful stay. 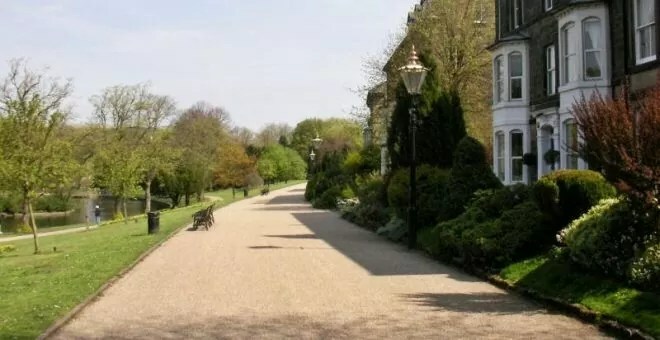 The Buckingham Hotel resides just opposite from the Pavilion Gardens, and to the side of the beautifully green Serpentine walk. 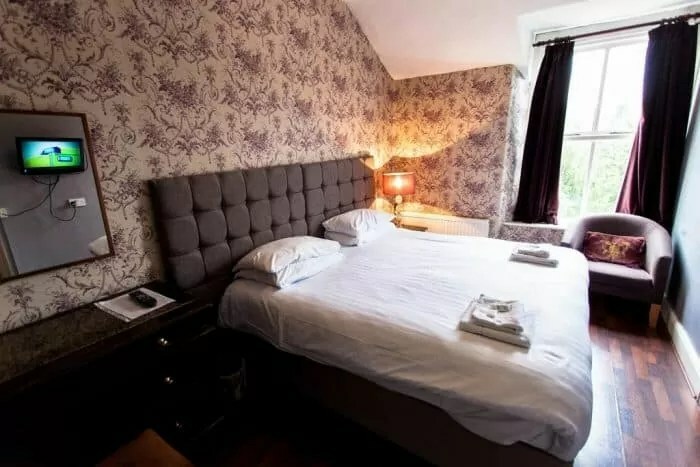 Good location coupled with traditionally decorated rooms and a stunning exterior, this hotel offers the chance to see the best side of Buxton. 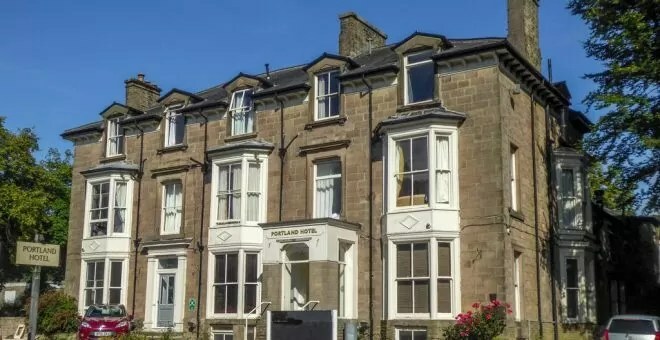 Portland Hotel again is in a wonderful location and is family run accommodation, which adds personality and charm to the building! 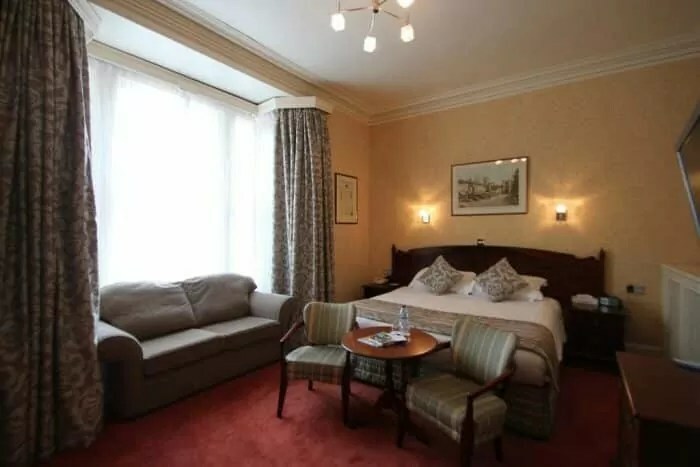 Close to the shops in the town centre and the Pavilion Gardens, this hotel enjoys both lovely views and practicality. 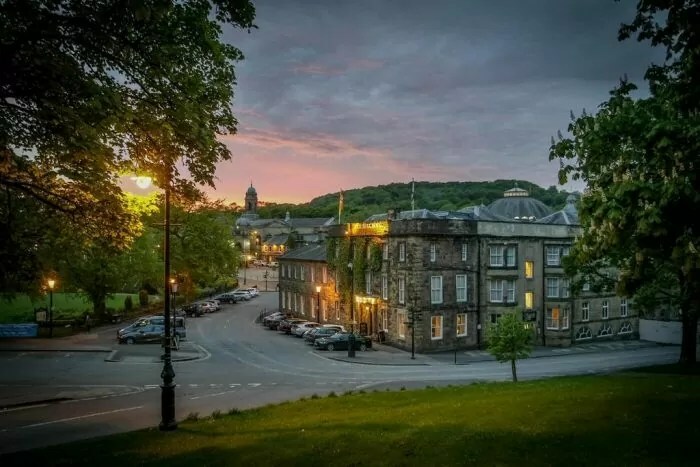 But don’t just take our word for it, book one of the lovely hotels from the list above, and see what Buxton can offer you! 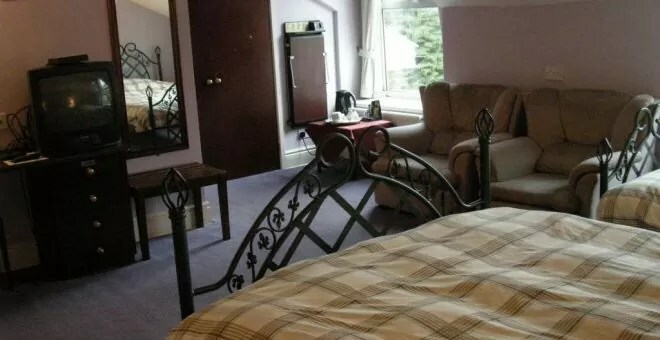 We hope you enjoy your stay.